Trying to get in as much sewing and quilting as possible before returning to work next week. Thanks, C., for coming over today for an old fashioned quilting bee and figuring out the best layout for the USC string baby quilt. This one looks much better in person. The picture doesn't capture the subtleties of the different yellows and taking the picture at night in fluorescent lighting doesn't help. 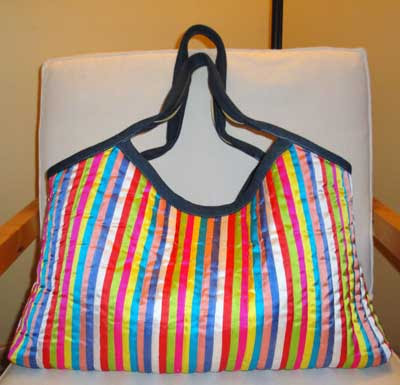 See that secondary square in the middle from the striped white/yellow fabrics? Her great eye caught that. Thanks, C.! I think they came out great. 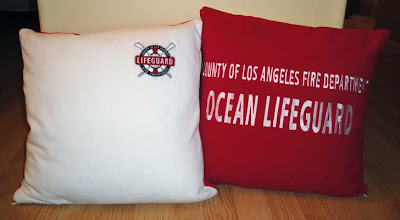 The two pillows are identical, and the picture shows the two sides. The white fabric used to be a polo shirt that was fussy cut to include the lifeguard patch. The red used to be a fleece jacket fussy cut to capture all of the embroidery on the back. For those of you from first generation Korean American households, the fabric may look familiar. Very fun to think of a quilted blanket as fabric yardage. Oh, the possibilities. 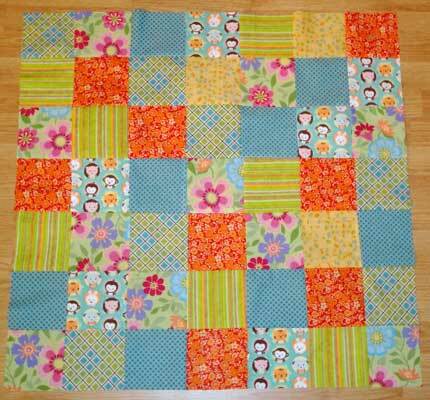 3) Pieced the top of 1 of 2 baby quilts that C. is making for her friend who is having fraternal twins. This one is the girl's quilt. And you even fixed that row that I messed up! 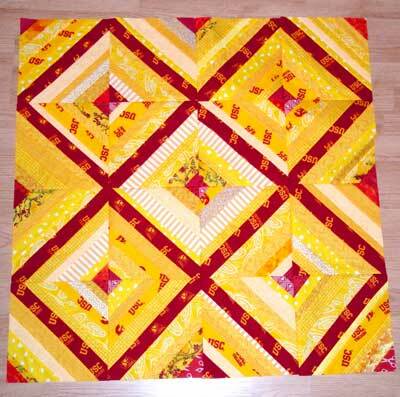 Quilting bees are exhasuting/super fun!